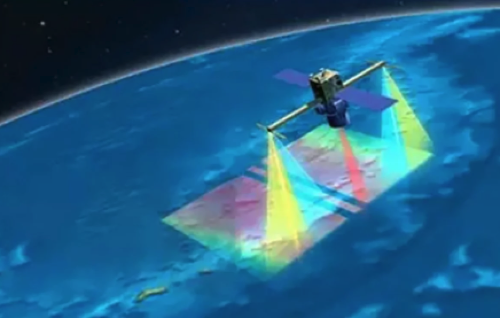 China is developing a dual-purpose laser-equipped low-Earth orbit satellite. 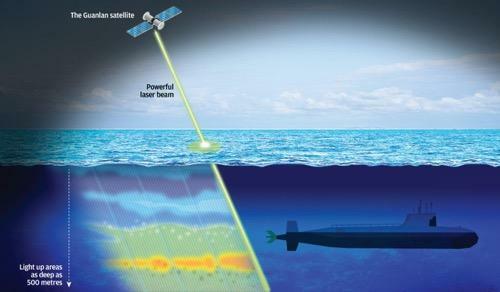 The program was launched earlier this year, is aimed at increasing Chinese surveillance of maritime traffic and unparallel anti-submarine warfare detection in the world's oceans. Project Guanlan, meaning "watching the big waves," was launched in May at the Pilot National Laboratory for Marine Science and Technology in Qingdao, a city in eastern Shandong Province on the east coast of China, said South China Morning Post. "It will change almost everything," Song said. Recently, NASA and Defence Advanced Research Projects Agency funded projects that could see submarines up to 600 feet below the surface -- but still nowhere close to the 1600 feet target zone. Once Project Guanlan's laser components are assembled. A pilot test of the device could be mounted on a spy plane as well as surveillance satellites. Song, Tinglu, and or the lab did not give the South China Morning Post any indication as to when the laser will be completed. Song did say the team has been under pressure. "There’s still heaps of problems that we need to solve," he added.